There are no tricks of the trade, no sleights of hand. 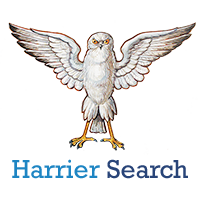 The Harrier Search approach is to work with clients to get to the heart of what qualities and values are most desired in the prospective hire, and then to source and work with candidates who are a true fit for the role, helping them to make their case. Clients don’t waste their time with sub-standard candidates, and candidates can walk into an interview with confidence. Harrier Search was founded in 2018 by Henry Venmore-Rowland. Henry was the first non-technical employee of Luminance, a LegalTech startup that in less than 2 years has become a market leader as an AI platform for document review, used by over 80 firms worldwide and 10% of the Global Top 100, with a valuation of $50m.